maybe it's time to try a new trend? Try this trend in your kitchen. Upholstered checked bar stools make for a fun space to have your early morning eggs and coffee. If this trend is one you can’t pass up, line your walls with this bold print. This fun plaid mixes well with your feminine desk décor. This printed sofa is a perfect twisted neutral. Pair this piece with bold and colorful pillows and art. The sophisticated bedroom brings this look to life. This two-tone space embraces this exciting new trend. This modern chair captures this trend well. Balanced against brass accents, this sharp shape steals the show. To try this trend in small doses, place it on a pillow. Nestled at the end of this banquette, this window seat is extremely inviting. 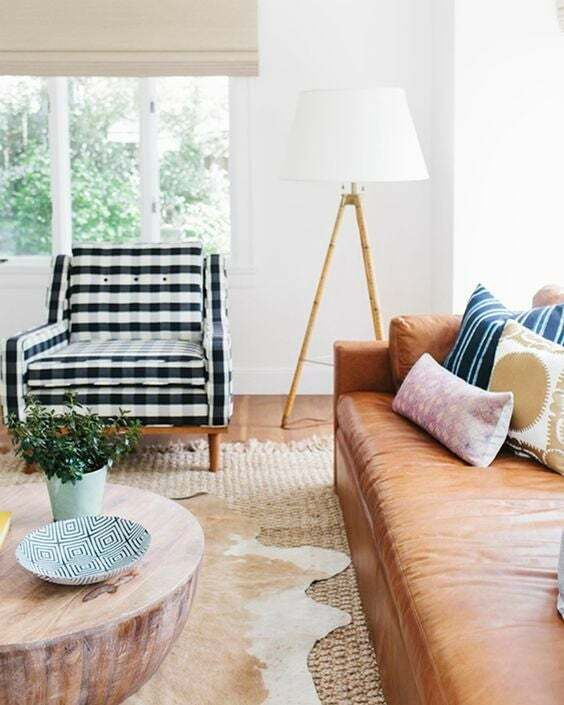 Sometimes two really is better than one; no truer words than that have been spoken about this darling pair of plaid ottomans. Stripes balanced against this trending plaid complement each other perfectly. This fun combination is the epitome of cool. Plaid walls in a small space make a loud impact. In your powder room, this perfect pattern is sure to get a lot of attention. Trend-right plaid pillows sit softly on these citrine chairs. Matched back to black accents, these pillows pop. This trend isn’t only showing up in black and white. Colorful checks of the purple persuasion stand out in this brightly bold living room. Warm woods and rich leathers keep this room cozy. Add in an extra layer of warmth with this eclectic cabin-chic printed chair.